It is with great sadness to report that Doug Dye has died of cancer. Doug was a friend to all and he will truly be missed. 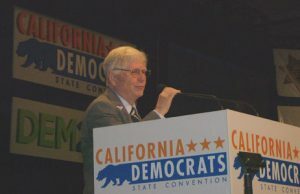 Doug was extremely dedicated to Democratic causes and candidates and was an integral part of the Riverside County Democratic Party (RCDP). There is now a hole in our party that can only be filled with love and great memories. On behalf of myself and the RCDP I provide his wife Susan, and his family with our deepest sympathies.